Shop Disney: FREE Shipping Today Only! 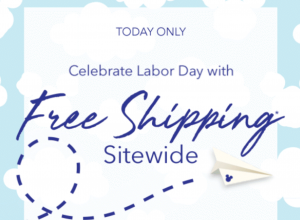 Head over to Shop Disney and celebrate Labor Day with FREE shipping! Just use promo code FREESHIP at checkout. Couple this offer with their Almost Autumn Sale where you can save an additional 40% off already reduced merchandise when you use promo code EXTRA40 at checkout. This is the perfect time to stock up on souvenirs for an upcoming Disney parks trip. For example, girls night shirts are just $5.99!